Hopefully the final Makeup Day will be Monday April 29. We will be starting our statewide 3-8 grade MAP & EOC testing next week on April 4th. 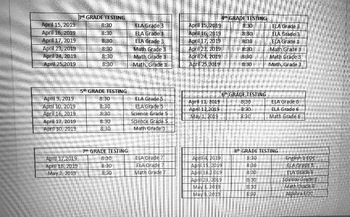 Be sure and check the schedule for when your child will be testing.